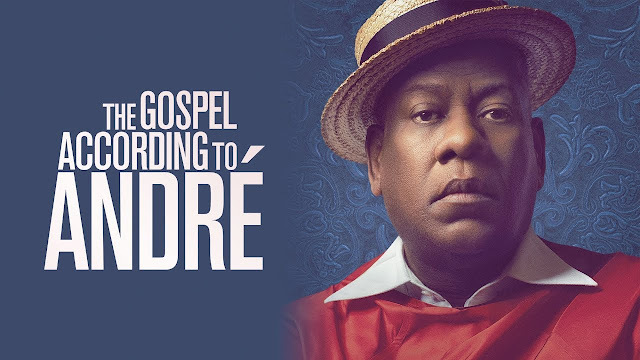 Home » Past Screenings » THE GOSPEL ACCORDING TO ANDRE - Win A Movie Pass for Two! 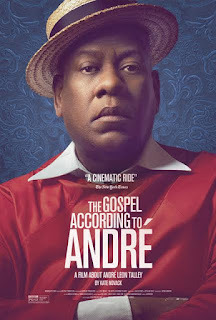 THE GOSPEL ACCORDING TO ANDRE - Win A Movie Pass for Two! Are you a fashionista? Then this film is for you. Find out how to win a pass to see this film Monday-Thursday during the engagement. André Leon Talley has been a fixture in the world of fashion for so long that it’s difficult to imagine a time when he wasn’t defining the boundaries of great style. Kate Novack’s intimate portrait, The Gospel According to André takes viewers on an emotional journey from André’s roots growing up in the segregated Jim Crow South to become one of the most influential tastemakers and fashion curators of our times. Novack’s film draws fascinating, heretofore unexplored connections, between the elegance of André’s beloved grandmother and the Black Church of his youth and his later iconic, barrier-breaking work at publications like Women’s Wear Daily, W and Vogue. Featuring commentary from fashion luminaries including Anna Wintour, Marc Jacobs and Tom Ford. NO PURCHASE NECESSARY. Passes only good from Monday-Thursday during the engagement. Excludes Holidays.